If there’s one assignment universally loathed by college students, it’s the group project. 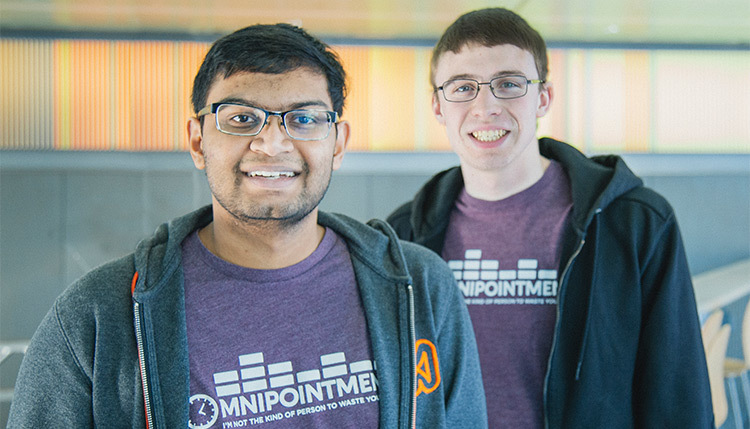 Computer science third-year students Brendan Batliner and Vinesh Kannan have experienced firsthand the struggles of coordinating schedules, holding group members accountable for pulling their weight, and communicating these roadblocks to their professors. So, true to their entrepreneurial spirit, the pair developed an app to solve these challenges. With some guidance from Illinois Tech Coleman Foundation Clinical Associate Professor of Entrepreneurship Nik Rokop, the duo launched Omnipointment in January 2016. The scheduling application allows groups to share appointments and suggests meeting times that work for everyone. It also prevents double-booking and keeps group members accountable by showing how much free time they actually have in a day. The app has recently been sold to Mimir, an Indianapolis-based computer science-education business. As part of the acquisition, Kannan has joined the Mimir team and will launch his postgraduate career as head of curriculum development. 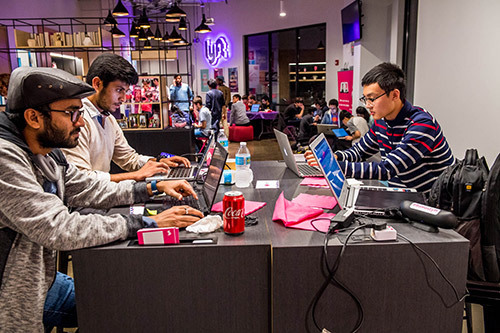 The software developed by Batliner and Kannan is currently being used by more than 95 universities around the country, including Illinois Tech. Since its acquisition by Mimir, Omnipointment has been modified to allow professors to keep track of group projects and to address any issues early on. Both creators say the assistance they received from the university was instrumental in helping get their idea off the ground.